If it’s important that your messages are clear, concise and compelling, contact me now. Simply telling people about your business or organization is not enough. 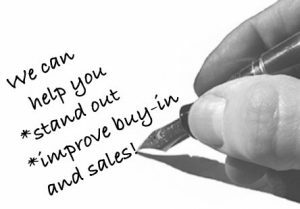 As a professional writer, I can help you improve revenue, loyalty and buy-in. Let’s get the conversation started!